In the office we know them as gold-dust and Facebook fodder. It’s the post guaranteed to break the internet every time we press ‘publish’. 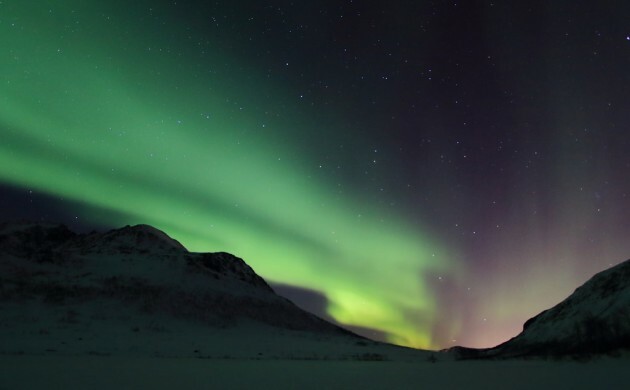 “Watch the Northern Lights tonight,” promises the headline. “Just make sure you’re somewhere dark with clear clouds” – which immediately eliminates 99.9 percent of our audience in Denmark. But just in case you do get lucky, the Icelandic photographer Baldur Kristjáns has put together a handy tutorial (see below) about how to make the most of your opportunity. Kristjáns quit economics just three weeks into university studies. We didn’t ask if it coincided with the financial crisis, or if he caused it, but we reckon you’re in safe hands with this advice! The tutorial is part of an autumn school term package presented by Inspired By Iceland in association with ‘Iceland Academy’, which offers insider advice and knowledge to tourists visiting the island. With the Northern Lights season just about to commence – once we’ve got shot of this beastly heatwave – it couldn’t be better timed to help you start prepping. And don’t miss out on the opportunity to enter the quiz and win a trip to the country. First thing first, clear skies. If the weather co-operates, you are already halfway there. You can always check weather conditions, cloud coverage and Aurora activity on the Icelandic Met Office Website. As far as equipment goes, the most important thing you can bring is a tripod and a cable release to avoid the dreaded shaken photo syndrome. If you don’t have a cable release, set your camera’s self-timer to two or ten seconds shutter delay, if available. There is no single setting for your camera that ensures great captures, but if you have manual options, you are probably best served with experimenting with various combinations of ISO, aperture, and exposure settings. As a rule of thumb, an ISO setting between 800 and 3200, aperture between f/2.8 and f/5.6, and shutter speed at between 15 seconds and 30 seconds have proven effective. Different combinations may give very different results. A higher ISO setting will allow you to capture faster exposures, but may also result in grainier images, for example. Note that shutter speeds of above 15 seconds will result in slight star movement. Wider angle lenses are usually more versatile in low light settings, but longer lenses give you different options for compositions. Make sure that you remove all lens filters, as they may distort images. You will probably get the best results with manual settings for infinite focal length.